“He [Obama] is a new generation coming onto the world stage, onto the American stage, and for that reason I'll be voting for Sen. Barack Obama,” Powell said during an interview with NBC on Sunday. 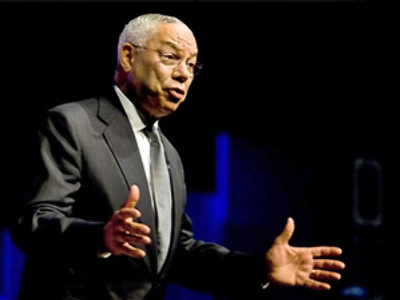 And Obama said on Monday that Powell will become a top presidential adviser in his administration if he wins the election. On Wednesday, the two presidential candidates met for their final TV debate. 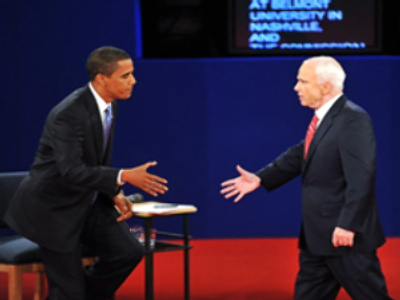 In a series of fractious exchanges Barack Obama and John McCain battled over everything from education and taxes to healthcare. But outside Hofstra University in New York State it was mayhem. What was a peaceful anti-war protest one minute became a screaming, heaving mass of riot police and protesters the next. More than a dozen protesters were arrested, many of them war veterans. “We saw tonight how veterans of this country are treated, and that’s a shame. 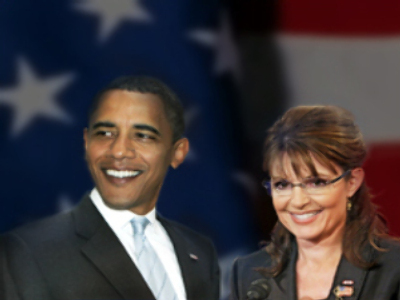 Both Obama and McCain claim that they support veterans. This is how we got supported tonight, by being pushed back, trampled and arrested,” said one of the veterans. The economy took centre stage as Obama and McCain launched into their third and last 90-minute debate at Hofstra University. McCain, desperate to score points, accused his Democratic rival of planning to raise taxes. Obama repeated his election pledge to cut taxes for 95 per cent of American earners. “If you make less than a quarter of a million dollars a year, then you will not see your income tax go up, your capital gains tax go up, your payroll tax, not one dime. And 95 per cent of working families, 95 per cent of you out there will get a tax cut,” Obama said. McCain countered that Obama was missing the point: “We need to cut the business tax rate in America. We need to encourage business. Of all the times in America, we need to cut people's taxes, we need to encourage business, create jobs, not spread the wealth around”. With less than three weeks until election day, many voters are still undecided. While it’s too soon to say if they've been influenced by the debates, they've certainly been a crowd-puller. As November 4 draws closer, the political temperature in the country is reaching record highs. Third-party candidate debates are taking place this week. But for the two major party candidates, this debate was the last. According to early polls, more than 50 per cent are prepared to give their support to the Democrat nominee with McCain trailing with just 31 per cent. So the debate was a crucial opportunity for him to make an impact on millions of voters. America's crumbling economy has been dominating the campaign, pushing the wars in Iraq and Afghanistan to the sidelines. Rising unemployment, falling house prices and a financial system in chaos has all but snuffed out debate on crucial issues like climate change and foreign policy. While the debate between McCain and Obama is serious business, the campaign has been marked by a surge in the less serious business of humour. The race to the White House has prompted a surge in internet-based satire – proving as popular as the speeches of the candidates themselves for many voters. To watch some of the satirical films follow the link. "That One" inches closer to be "The One"
Who is Joe the Plumber?